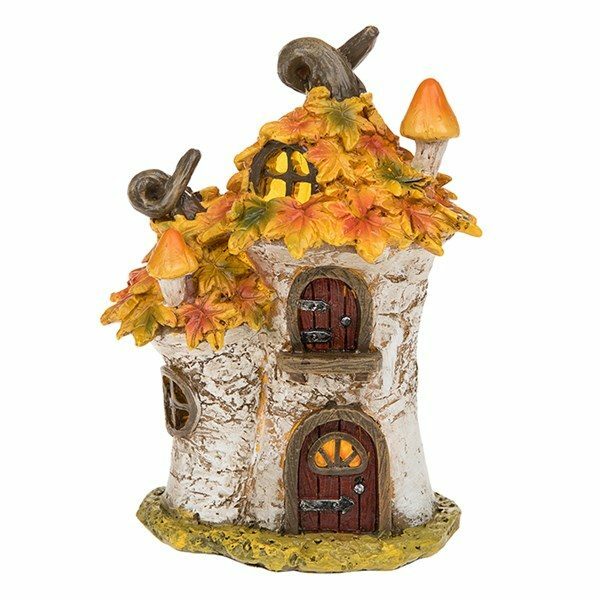 Little Oak Cottage is from the Fairy Glade collection of fairy houses and has a cute oak leaf roof in pretty autumnal colours. 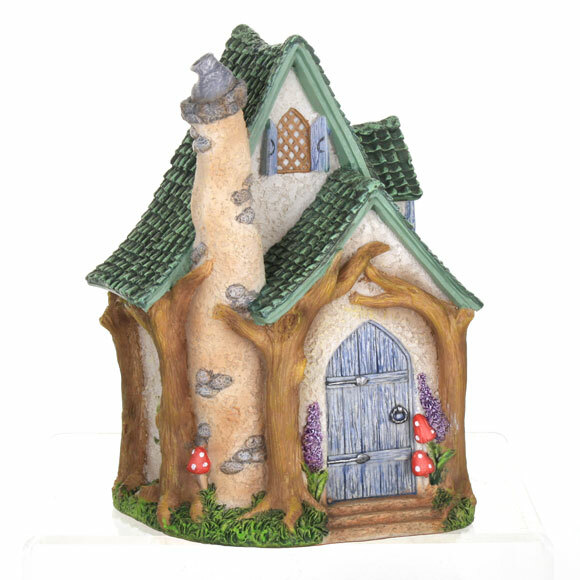 Has two little doors, two windows and two little mushroom chimney pots. The interior LED light shines through the little windows.